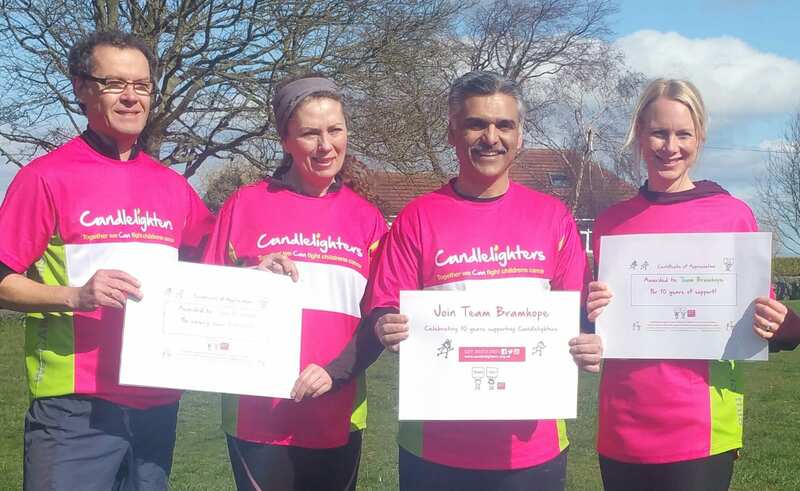 These volunteers have made such a difference to Candlelighters. 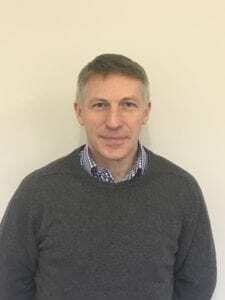 Following redundancy, Alan began volunteering with Candlelighters in January 2018. Over a six month period he came into the office an average of four days a week, undertaking research and database updates that were vital for fundraising development and growth, as well as ensuring our compliance with GDPR. Staggeringly, Alan volunteered for over 1000hrs during this period of time, demonstrating dedication, hard work and commitment. The tasks he completed have left a lasting legacy for the team going forward. After securing full time work in June, Alan continues to volunteer in his spare time at events like the Great Yorkshire Bike Ride. Mark gives so much of his time in many ways including being Chair of the York Candlelighters Fundraising group, which involves organising meetings and events with volunteers, supporting people fundraising in the area and cascading information and updates about the charity to them all, massively increasing awareness across York. 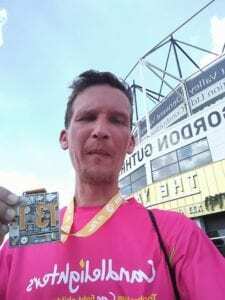 This year Mark has also set himself a personal challenge to complete 211.3 miles of running in 2018 bringing his total mile count to 503 miles since he began fundraising. This takes up most of his weekends during the summer when he has a wife and four children to look after too! 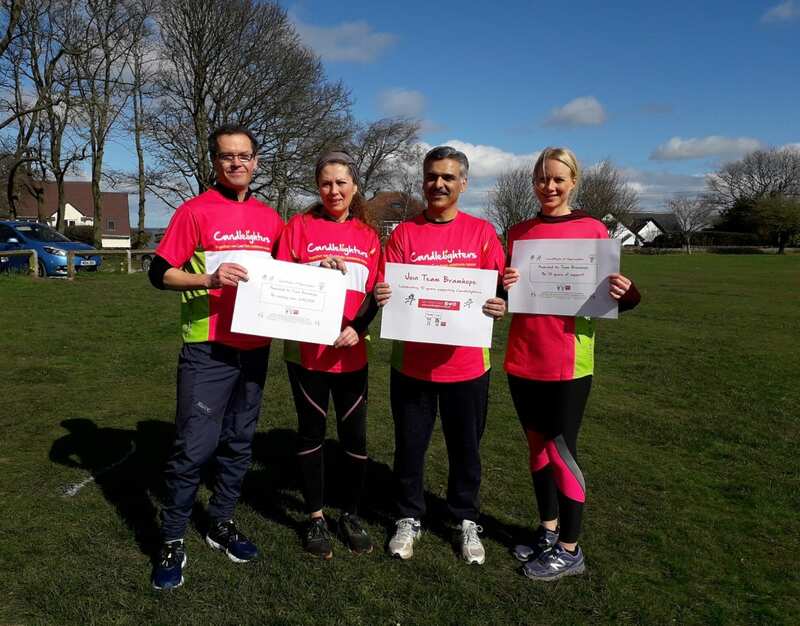 This is not just about fundraising, Mark does it to raise awareness and is proud to wear his bright pink Candlelighters running top all across Yorkshire and further afield. Stacy has been volunteering for Candlelighters since February 2017. 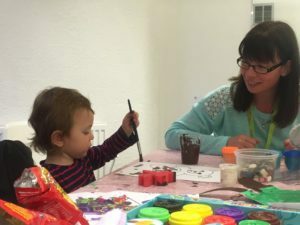 She is one of our family support event assistants, helping at our bereaved mums group, mums on treatment group, teddy bears picnic and family Christmas parties. Stacy always goes above and beyond what is asked of her. Stacy never has to be asked to complete jobs or tasks because she is always one step ahead of you and will either be doing it or has already completed it; this allows family events to run much smoother. Stacy would never miss out on an opportunity to volunteer and will even organise her own life around the shifts we have available.